Are Bass Hearing You and Heading For Cover? If So, They're Heading For Cover, Not Your Lure! "Quiet, you'll spook the fish". We've all heard this before, but is bass hearing so sensitive that they can actually hear us speaking or even yelling in our boats or on the shore? No, water is an excellent conductor of sound with a rate of 4,818 feet per second, almost five times the rate sound travels in air. However, water is 800 times as dense as air allowing but one ten-thousandth of the above water sound to penetrate the surface. Nope, they won't hear us talking but don't think for a minute they won't know we're there. Because water is an excellent transmitter of sound waves but an inefficient transmitter of light, bass have developed a very keen sense of hearing. It consists of the inner ear (where it hears sound), the swim bladder and the lateral line (where it feels sound). Bass hearing is so sensitive a bass can hear the clicking of crawfish under a rock and the seemingly silent movement of minnows through water. Their ears have no external flaps like humans. They're enclosed in a bony structure in the skull just behind the eye. 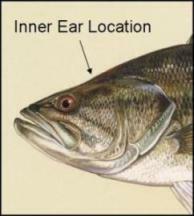 Because the body of a bass is mostly water and almost the same density of water, sounds pass easily through the body directly to the inner ear. However, since both ears hear simultaneously the bass gets no indication about the direction of the sound. Additionally, the bass' swim bladder enhances its inner ear sensitivity. The swim bladder is an elastic membrane filled with gas, like a balloon, and will expand and contract as sound/compression waves pass through. It becomes a second source of sound which echoes sound waves passing through the bass. The inner ears receive direct stimulation from the original source and indirect stimulation from the swim bladder creating a very effective bass hearing sense. Sound becomes most important to bass when visibility is limited due to muddy water or darkness. Bass react to sound first by arousal, that is, by the sound getting the its attention. Exactly what the bass hears depends on where it is within the source sound field. If the sounds point of origin is more than forty feet away the inner ears hear it but can not determine the direction from whence it came, as the inner ears are non-directional. Additionally, the water is in many cases "busy" with sound from many sources, natural and man made, traveling through the water at almost a mile a second! This noise clutter further complicates identification and location. Next, a bass might seek out the sounds source. Bass hearing a sound and pursuing it are two different things. Bass are naturally tuned to the sounds their usual prey make so may well ignore sounds that don't closely resemble those. However, should the sound be one of interest the bass will likely seek out its source shifting its focus to its eyes. As it approaches the source or the source approaches it to within twenty feet or less, the bass can evaluate it visually with its eyes and also vibrationally with its lateral line as to whether it is a threat or dinner. As predators, bass hearing is tuned to the sounds made by their prey such as minnows and crawfish. Specific prey make specific sounds when feeding and spawning. Most importantly, these sounds fall within the range of hearing and vibration frequencies that can be detected by bass and which match their sensory programing. 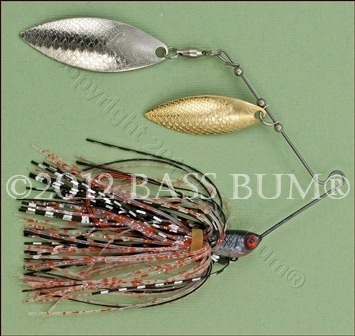 Fishing lures that match the sensory tunings of bass will be most successful. It makes no difference that they are artificial as bass have no concept of natural or unnatural. 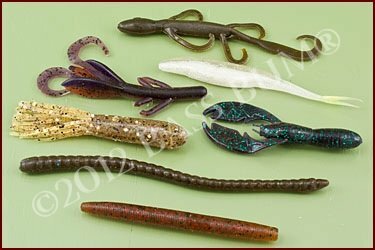 Plastic lures like brushhogs, crawfish and minnow baits, maybe more so when combined with a modest rattle, are very effective bass catchers. The subtle "quiet" sounds made as they're retrieved across rocks, stumps and fallen trees, are quite close to the sounds of natural prey. Spinnerbaits, also regarded as top bass catchers, are actually near soundless when retrieved as the blades are actually spinning in sync with the water flow. They are noisier and more effective when bounced off structure as done with soft plastic. This is sound that will arouse the bass' interest. Topwater Lures like spooks, buzzbaits, poppers and prop baits create natural sounds similar to those heard by bass in their everyday environment. 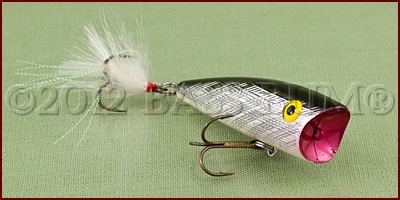 As these type lures are worked by anglers they disturb the water's surface attracting feeding bass. Crankbaits that are hard body, especially those with BB's or other rattle material inside, emit sound that ranges completely across the range of bass hearing so at some point during retrieve the bass will hear it. Note that the sound the bass hears from rattling crankbaits change during the retrieve depending on the depth of the water, the hardness of the bottom and distance from the bass. 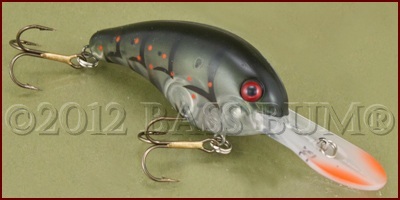 Swimbaits are very effective and have become crazy popular the last year or so. Most manufacturers don't make a rattling version, yet they remain extremely successful bass catchers. It must be the action of the tail (water displacement) and the retrieve techniques used, it's not artificial sound. There is no doubt some sounds are alarming to bass. Underwater studies have shown that repeatedly starting and stopping trolling motors spook them. It also discovered that boat motion and resulting water movement caused from an angler merely standing to cast can spook them. Add to these the sounds made from dropping something in a boat, banging a minnow bucket against the boat's side or slamming your boats storage doors shut. Any sound that is sudden, close by or erratic startle them. Bumping logs, or dropping a lure right on top of them, also not good! Cast past where you feel they are then retrieve through where you think they are. The importance of bass hearing can't be underestimated by we anglers. Remember, the great majority of bass waters in this country have limited visibility, perhaps from a few inches to a few feet. Most bass we catch result from their first hearing our lures, then seeing them. You'll learn more about how to use this bass hearing information to outwit the lunkers in sections of this site that discuss Bass Fishing Lures and Bass Fishing Techniques.